In the spirits of #FBCYA book of the month, More Happy than Not by Adam Silvera, I’m doing the More Happy than Not tag. Thank you to my fellow #FBCYA bloggers, Bianca @ Ultimate Fangirl and Trisha @ The Bookgasm for tagging me. By the way, if you haven’t read this book, YOU TOTALLY SHOULD! It was beautiful and heart-wrenching and even though I didn’t cry, I had a lot of feelings about this book. Let’s get to the tag. everyone who has read this book, but yet to do the tag. Please don’t feel obligated to do the tag if you don’t want to/have done it before. Hello everyone, today marks my return to my book-tags pile. 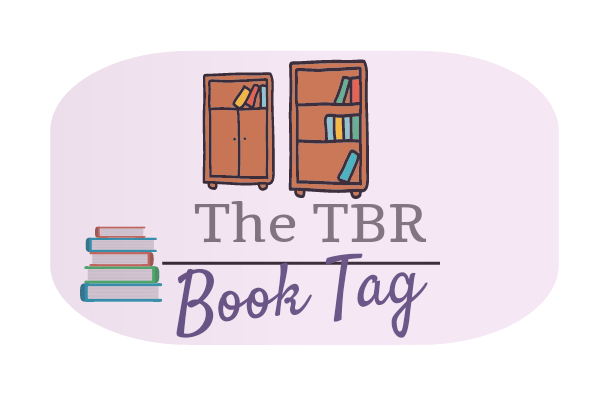 I have several book tags I have to do and I’m really excited to do them all, but I’m going to start with The Disney Book Tag. Thank you Trisha @ The Bookgasm Blog for this tag! ^_^ She tagged me back in November, but I had been procrastinating. Cath in Fangirl (Rainbow Rowell). She went to live in college dorm expecting everything to be more or less the same. So when her sister, Wren, left her to be with her new friends, Cather was alone with nothing to do but submerge herself in the internet. I am Cather of course. Elend Venture in Mistborn trilogy (Brandon Sanderson). I’ve recently finished the original Mistborn series and oh my… There are glimpses of his old self, but the new Elend is so different with the person I first met in The Final Empire. On the other hand, there’s also Chaol Westfall (Throne of Glass by Sarah J Maas)… but I cannot say more because that’s spoilery. Six of Crows (Leigh Bardugo). What a delightful combination of characters. I love all of them, Jesper, Wylan, Kaz, Inej, Nina, Matthias. I’m really excited that Crooked Kingdom will have Wylan as one of the narrators. I AM SORRY SANDERSON FANS (that includes myself), but it took me forever to finish Well of Ascension because I kept falling asleep after a few pages. Kvothe in The Name of The Wind (Patrick Rothfuss). The Name of the Wind is sort of a biography of Kvothe, and man did he get through a lot. The Way of Kings (Brandon Sanderson). I WAS SCARED TO START IT, but now all I want in my life is the third Stormlight book so I could play spot that character and get lost in Roshar. This question is so difficult to answer without giving away major spoilers, so I’m gonna go with the obvious. Be Careful What You Wish For… (RL Stine). The title says it all. Macy in The Truth About Forever (Sarah Dessen). She tried so hard to be perfect even though she didn’t enjoy the things she did. There’s nothing wrong with being a perfectionist, but Macy’s problem is that she didn’t want to be but was forced by her circumstances. I had been there, and sometimes I found myself slipping back into this mode. Heroes of Olympus (Rick Riordan). Why? Because Percy and Nico and Piper and Thalia and Leo and Reyna and Hazel and everyone else. Because I’m so attached to those characters that I’ll keep reading whatever Riordan thrown at me as long as he gives me more of them. I’m going to cheat and mention five. Caine in Gone series (Michael Grant), Lord Ruler in Mistborn (Brandon Sanderson), Cersei Lannister in A Game of Thrones (George RR Martin), Hrathen in Elantris (Brandon Sanderson). Possibly also Aeduan in Truthwitch (Susan Dennard), even though I haven’t finished that book I’m saving this space for him. It’s near the end of 2015, which means it’s time to make some overambitious resolutions and try to keep it. 2016 Resolutions Book Tag was a tag created by Trisha Ann @ The Bookgasm. She also tagged me on her post, so thank you Trisha! diversify my reading. I’ll read more classics, contemporary, and start reading non-fiction. Not going to stop reading fantasy though. not force myself to finish a book I cannot get into. read more. I have always enjoy reading, but 2015 is the year where I once again fall in love with books. finish reading all Brandon Sanderson published works. Ha. do infographics type of post. I used to love infographics, and GR year in books infographic made me remember how much I enjoy them. organize and categorize my posts. My blog wasn’t originally intended as book blog, hence, the clutter. I am going to clean up the mess, somehow. Even if it means I have to move to another free wp blog or self-hosted site. be more consistent. With my design, feature, and content. Whoa, getting deep with this one. be more organized. I am getting a planner and all that. exercise more. I usually only manage to do this for a month or so. I’ll go with The Silkworm by Robert Galbraith. I don’t think I have any favorite genre for rainy days. But, if I have to pick a single book I will go with The Demon’s Lexicon by Sarah Rees Brennan. No other reason besides I LOVE this book so much. The last time I said Magnus Bane, so I’m going to switch it up a little and choose Hermione Granger. Because… well mostly because she’s Hermione. And I really want to see Hogwarts. The ship has probably sailed for this one, but The Host by Stephanie Meyer is a good standalone. I wish more people read it. Embarrassing is probably not the right word, but I cringe everytime I see the cover of The Demon’s Lexicon. Which is unfortunate because as I mentioned above, I freaking love this book. Favorite fall time comfort food/ drink? My country only has two seasons so I don’t really know… But, I really like hazelnut chocolate drink so I’m gonna go with that. I was nominated by Ashleigh @ A Frolic Through Fiction and Marian @ Bookception21 for Real Neat Blog Award. Thank you so much Ashleigh and Marian! 😀 I’m sorry that I took forever to do this award, I really appreciate the nominations. I have so many (that explains why I am forever spending money to buy books). JK Rowling, Rick Riordan, Rainbow Rowell, Sarah Rees Brennan, Cassandra Clare, and Michael Crichton to name a few. Which book-to-movie/TV adaptations you are looking forward to? I am looking forward for In The Heart of The Sea, Fantastic Beasts, A Monster Calls, Ready Player One, and the Shadowhunters TV series (hopefully it’ll be better than the movie). What do you not like seeing on a book cover, and puts you off buying it? When you’re not reading, what else do you do in your spare time? Messing with some programming codes, usually. Also, SLEEP. A lot. Which fictional world would you NOT want to visit – at all? The post-apocalyptic world in the 5th wave seems pretty horrible and I do not want to visit it at all. If you could be any character from a book, who would you be? Magnus Bane from The Mortal Instruments/The Infernal Devices. Magnus looks like he’s always having fun despite having been around for so long. He also gets to know Will and Jem and Tessa and Simon and all those characters from TMI and TID. And he has magic! Plus, I get to date a cute blue-eyed boy. What books do you hope to read before 2016? Cress and Winter by Marissa Meyer. 1. What’s your favourite book of the year so far? 2. What book have you read that was out of your comfort zone? I haven’t found any. Maybe I play it too safe when picking books or maybe I just have too high tolerance when it comes to reading. Heist is always a fun one. I also like stories involving magic school and mystery/crime-solving (either together or separately). Paperbacks. I am very clumsy when it comes to hardbacks. The dust jacket is forever coming off and I some times lost the jacket pleasedontkillmehardbackfans. I am also very lazy and usually in supine position while reading. Hardbacks are harder to wield (no pun intended) when you’re reading in bed. Since I already mentioned Words of Radiance above, I will go with A Darker Shade of Magic by V.E. Schwab. Ron. No wait, Harry. Okay, Ron. 1. Do you prefer reading ebooks or prints? 4. What’s your favorite place to read? 6. What’s your dream place to visit? Posted in Book Tag, BooksTagged Book Tag, books13 Comments on Real Neat Blog Award! I was tagged by Trisha @ The Bookgasm to do the Autumn Book Tag. I have some sort of disorganized book-tags queue lining up in front of this tag, but desperate times call for desperate measure. Since it’s nearly the end of autumn and in some parts of the world, fall’s already over (not that I have fall where I live), I’m giving this one a VIP pass and let it cut the queue. 1.What is your favorite thing about autumn? I live in tropical country so I never actually experience autumn in real life. I do, however, really like seeing the colors of autumn (you know, from PICTURES). 3. What cover reminds you of autumn? 4. What is your favourite horror or halloween story? This is the only one I could think about. I always enjoy a good mystery book, but this one actually creeps me out so bad. 5. What is your favorite horror or halloween film? I’ll go with the classic. Wait, what? It’s not a classic? I’m sorry, but I was a teenager when Freddie Prinze Jr was in every teen movie. This is the one that started it all. I still watch it when it’s on TV. 6. What fall book release are you looking forward to? I am going to say Winter by Marissa Meyer even though it has been released. 7. What autumn movie release are you anticipating? Mockingjay Part 2 and The Peanuts Movie. Again, I haven’t watched both so I am still in anticipation mode. It still counts, yes? 8. What are the three books you plan to read this autumn? I use my Google Play Wishlist to keep track of books I want. Other than that, mostly Goodreads. I also use Fict Fact to track the series or authors I love. It’s very useful although the date some times not too accurate. E-book. I love prints, but I more often read on my phone because I could just read anywhere. It is also the faster way to get new releases. It usually depends on what genre I want to read at that time. Most of the times I enjoy fantasy, but there are times when all I want to read are legal thrillers. Jeffrey Archer’s Only Time Will Tell. I’ve been meaning to read it since it came out in 2011, but I just can’t get into it. I don’t know, man, I love Jeffrey Archer’s books. He is one of the few people I count as great storytellers and not just authors, and I still plan to read it (just not now :p). The title for the second book in the Six of Crows series has just recently been announced. Obviously, there’s no cover yet, but I am very excited about this book so I just have to put it here. 6. A book strictly on your TBR strictly for it’s cover? I don’t have any, I think. Even if a book has a pretty cover, I will read the synopsis before deciding to read it. I plan to read them all. Tell The Wind and Fire by Sarah Rees Brennan. I mean… look at that cover. LOOK AT IT. I will definitely get this one on print, preferably hardcover. Also, it’s Sarah Rees Brennan. Tell The Wind and Fire is a retelling of A Tale of Two Cities, it’s about a girl named Lucie who … (ramblings removed). I will talk about it for days if anyone would listen, but just check out the goodreads page I linked above and my old post for link to an excerpt. 9. A book on your TBR that everyone has read but you? I feel like I am the only person who never read the Penryn & the End of Days trilogy. I just finished the first and second books, and they were soo good, especially the first one. I cannot wait to read the rest of the series. This got to be Illuminae by Amie Kaufman and Jay Kristoff. This book received so much hype and nearly everyone who read it was obsessed with how good it was. I haven’t read sci-fi in a while so it’s going to be refreshing to go back to that genre. It also has a unique format with maps, illustration, and reports, which is why I avoid buying the e-book version. 11. How many books are currently on your Goodreads TBR list? I mainly use Goodreads to track my read list, and not my TBR so I rarely update it. If you have done this tag before, send me the link so I can check it out. I was tagged by Trisha @ The Bookgasm to do The Pastry Book Tag which of course led me straight to browsing pastry pictures. Yummy! Percy Jackson and The Olympians by Rick Riordan. The default answer is Harry Potter, but if I’m being honest, I love PJO series no less than I love HP. People keep telling Riordan to stop already, but if he decides to write another 100 books set in PJO world, I would devour all of them. The Well of Ascension (Mistborn #2) by Brandon Sanderson. I took my sweet time reading The Well of Ascension. Nearly every time Vin paused, I wanted to pause. Don’t let me deter you from reading it. It is a good book, just so painfully slow, at least in the beginning. Once the pace has picked up, chaos ensued and I couldn’t stop reading it. I had high hopes, but within the first few chapters I just knew it wasn’t working for me. The latter part of the book is better than the first half and almost redeem it, but not quite. I thought Carry On is a fantasy book, and in a way it is. But it’s not a fantasy book per se. It’s a romance book set in fantasy world. There’s enough world-building, but the emphasis of Carry On was not in the magic world itself, it is on the relationship between people. You can read my review here. I know it’s a bestselling novel, but I still think the book didn’t get enough recognition for what it’s trying to achieve. This is a Public Service Announcement to ask everyone in the world to read Unwind. I was going to put The Stormlight Archive by Brandon Sanderson, but since I talked about that book too much already, I’m choosing The Name of The Wind. The Name of The Wind is the first book of The Kingkiller Chronicle and it tells a story of Kvothe, from his childhood, his time in the university, and his many adventures. I’m going to post a complete review some time in the future, but for now let’s just say that the magic system in this book made my head hurts. Perks of Being A Wallflower by Stephen Chbosky. Don’t get me wrong. I LIKE the book a lot. The movie, though, I LOVE. With ALL CAPS. Since Chbosky also directed the movie, so I hope he doesn’t mind. I don’t know what it is about the movie version, but I’m guessing it’s Ezra Miller with a sprinkle of Logan Lerman and Emma Watson. Micro by Michael Crichton and Richard Preston. Crichton received a lot of criticism throughout his career, but I am a big fan of his writing. The fact that he always conduct thorough research for his book, no matter how implausible his theory turns out to be scientifically, appealed to me. Micro is his last book and he didn’t even get to finish it (it was completed by Preston). I put off reading it for as long as I could because I was scared it would not be as good as his previous books and because it was the last ever Crichton book I am going to get. Fortunately, Richard Preston did a great job finishing Crichton’s last legacy. The last Michael Crichton’s book was satisfying, but bittersweet indeed. The Cuckoo’s Calling by Robert Galbraith. I could pick almost any book, but I decided to go with Cormoran Strike novel by Robert Galbraith, specifically The Cuckoo’s Calling. It took place in London, and although there are many books set in London, there’s something remarkably British about this book. After all, it’s a detective story about the death of a supermodel, so culture, environment, and people play big role in the book. I grew up reading The Famous Five series, and these kids eat a lot! They ate tons of buttered bread that made me hungry all the time. Also lemonade. And bacon. I’ll be honest. I spent more time looking at pictures than actually typing this post. I hope you enjoy it! Thank you to the lovely Trisha Ann @ The Bookgasmblog for tagging me with the Infinity Dream Award. First of all, the rules. You need to share 11 facts about yourself and then answer 11 questions asked to you. I am an avid Formula 1 fan. I never miss a race if I can help it. And I am very fortunate to have the opportunity to watch F1 race live twice. I like trying out public transportation in foreign countries. I LOVE COFFEE. That is a fact. I have unhealthy obsession with fonts. I am the type or person who spend more time picking up the right font and theme than creating the content when making a presentation. My dream is to one day travel the world and see all the f1 races. And yes, that includes Monaco. My other dream is to hang out with all my favorite authors and try to pick their brains (not creepy at all). I don’t really watch tv series. Except supernatural. Because I cannot give up the Winchester bros. If I could, I would do all my shoppings online. I’m lazy that way. And now, for the answers.